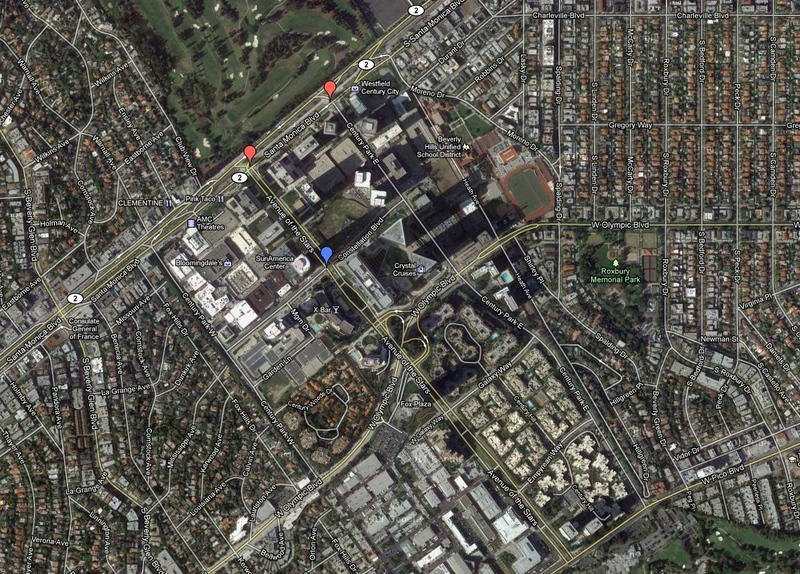 An aerial view of Century City from Google Maps. The red pins are at Santa Monica Boulevard and Avenue of the Stars (the pin on the left) and Santa Monica Boulevard and Century Park East — two locations being evaluated for a potential subway station along Santa Monica Blvd. The blue pin marks the intersection of Constellation and Avenue of the Stars. Click for a larger image.